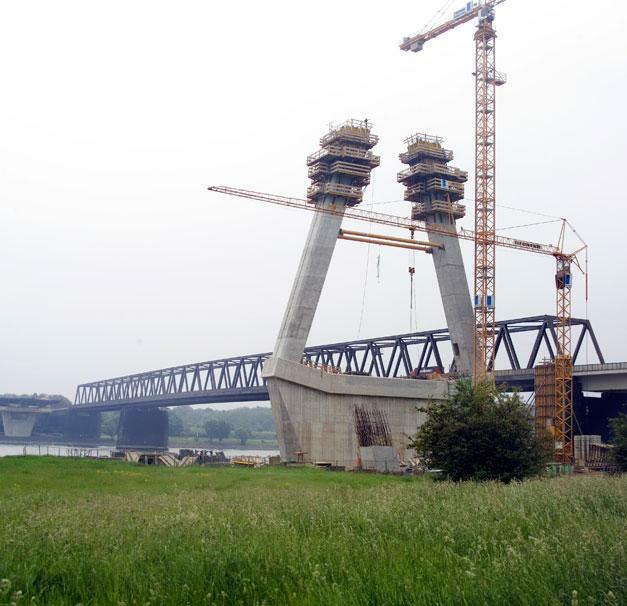 The 772.5m long bridge over the Rhine in Wesel set a whole new standard in terms of the stipulations made regarding its surface appearance. 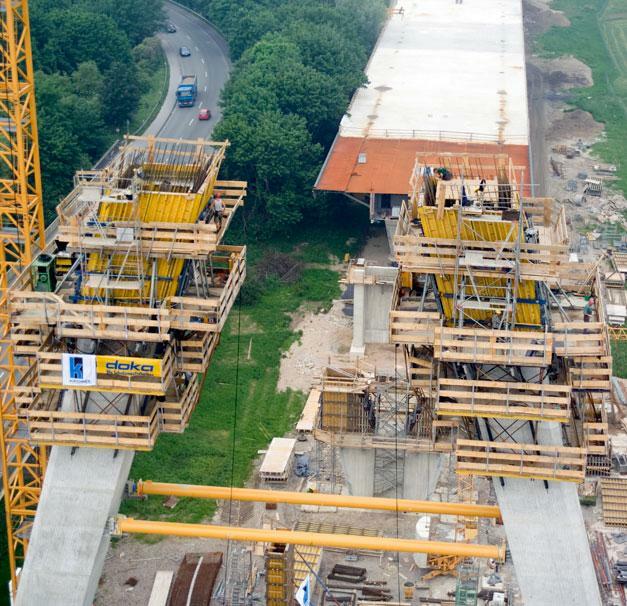 The construction firm Hermann Kirchner Hoch- und Ingenieurbau GmbH cast these fair-faced concrete services using Large-area formwork Top 50. 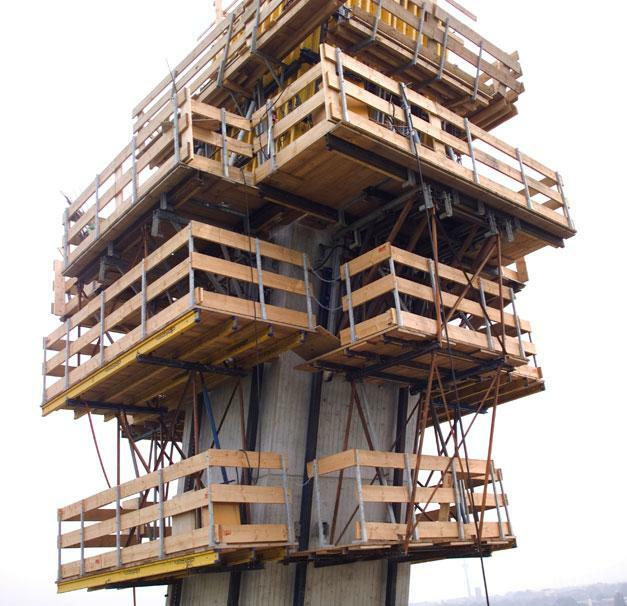 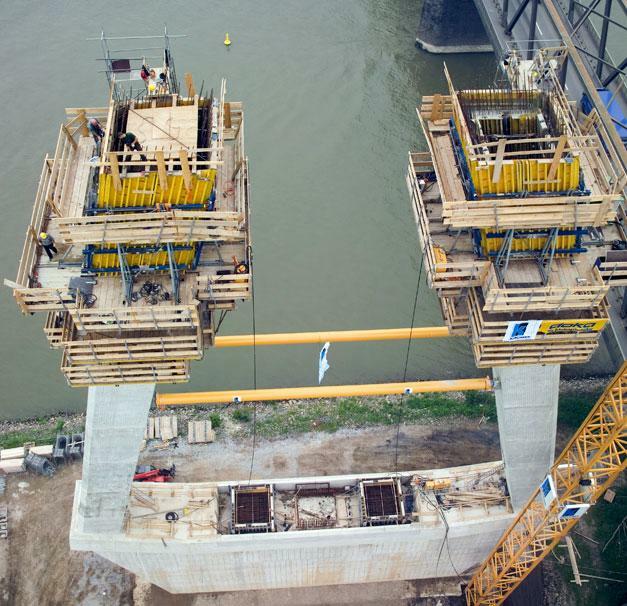 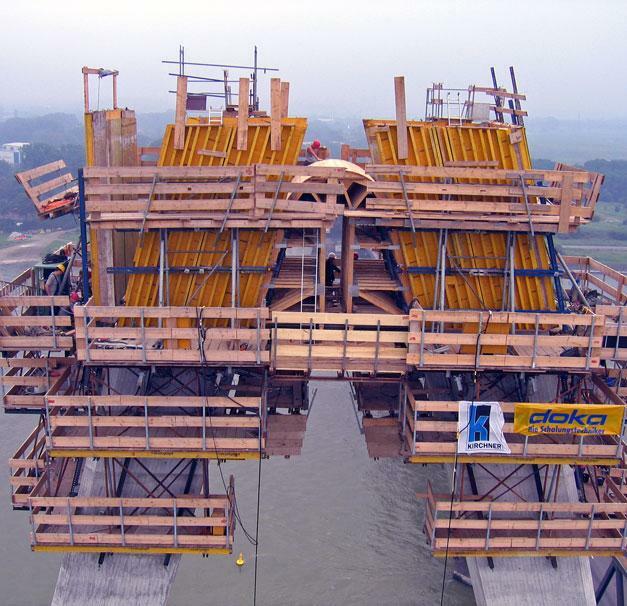 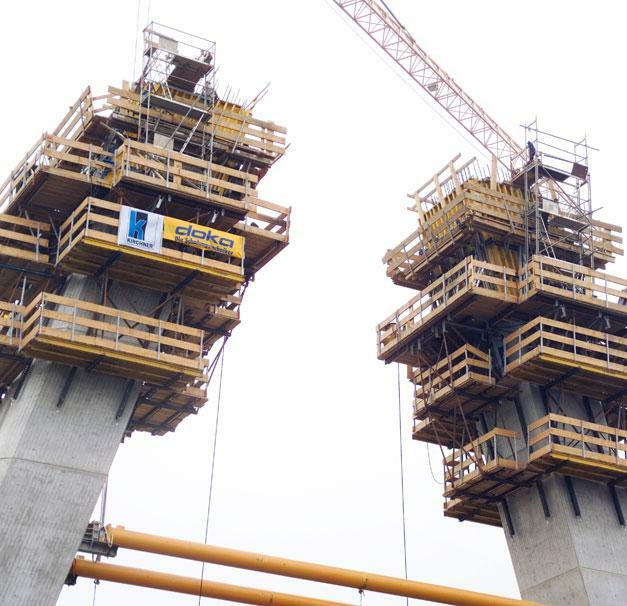 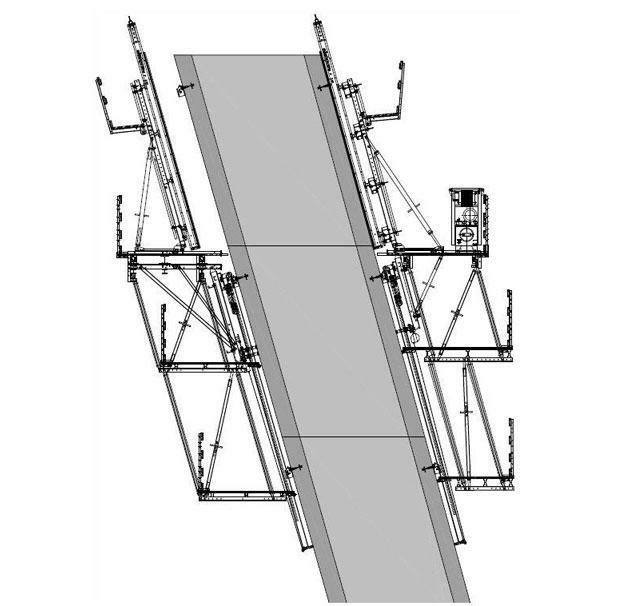 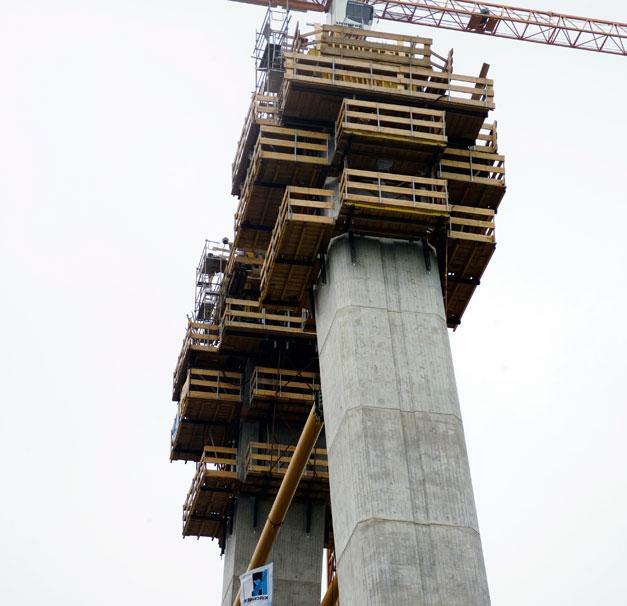 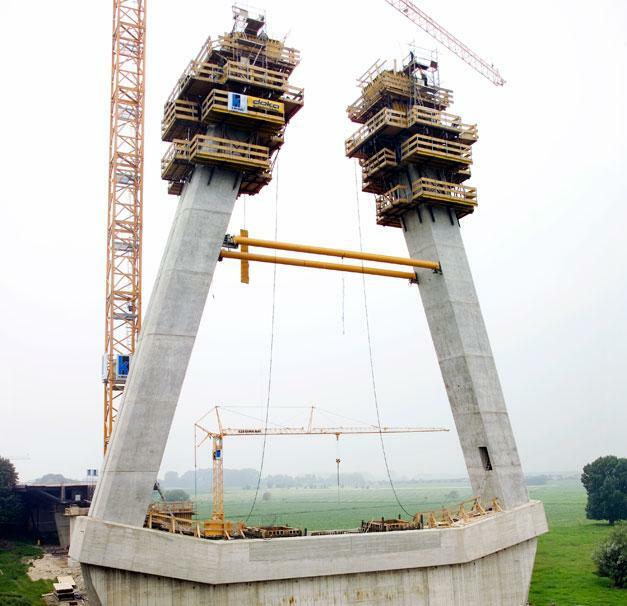 To deal with the 15.84° inclination, the engineers fielded Automatic climbing formwork SKE50. 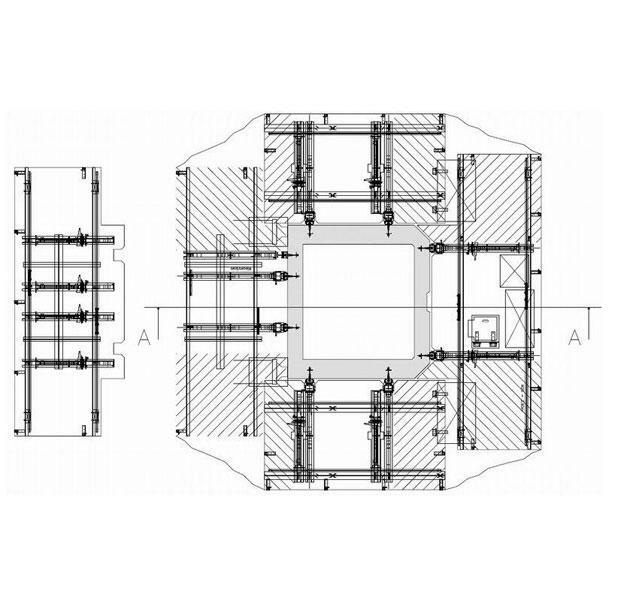 This permitted optimal adaptation to the structure geometry. 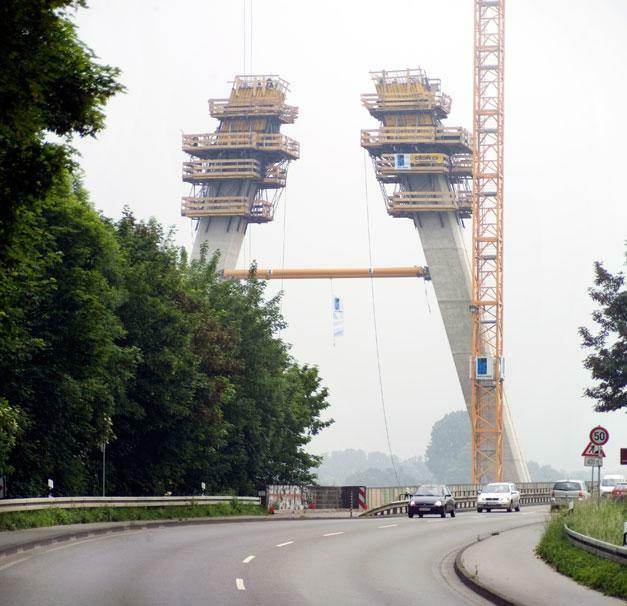 Thank you for your interest - Rhine Bridge at Wesel. 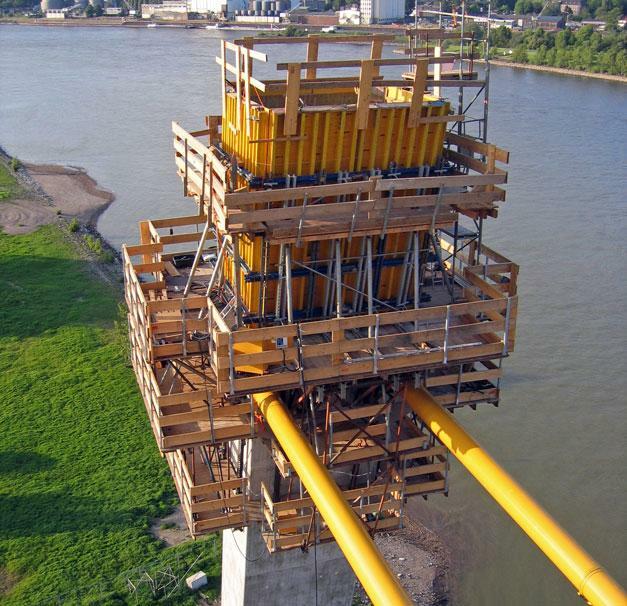 Thank you very much for your interest - Rhine Bridge at Wesel.